Home > How safe is it to visit Kenya? Amidst reports of unrest following protests, Craig Webb, Security and Political Risk Analyst at Healix International comments on the risks involved when visiting Kenya. Overall, we deem Kenya to be a moderate security risk country comprised of several diverse security risk environments, each containing a variety of threats and potential risks. When considering the safety of travel to Kenya, or any moderate security risk country, travellers should carefully consider their aims, objectives and acceptable risk exposure before travel. This is especially important in a country such as Kenya, where the risk appetite of an oil and gas company’s exploration team in the volatile Somali border regions differs significantly from that of a tourist visiting the Maasai Mara National Reserve. The majority of travellers will find that they intend to visit relatively benign security risk environments where the implementation of basic security precautions will ensure a safe and enjoyable visit. It is safe to travel to Kenya, but spending some time researching potential destinations and associated risks before travel is highly recommended. Timing is an important component of this research; what events are upcoming and what does this mean for your trip? Is there precedent for violence, unrest or any other form of disruption that could have an impact on your visit – if so, what precautions can you take to reduce your exposure to this threat and if dealing with relative unknowns, what generic measures can you implement to reduce the impact of an unavoidable incident? Simmering decades-old land disputes and hostility surrounding the recently annulled presidential election results are two key examples to be considered, each triggering periodic bouts of unrest and associated security risks. In the majority of cases, travellers will be visiting comparatively safer areas of the country, including major cities such as Nairobi and Mombasa along with other tourist hotspots such as game reserves and national parks. In these areas, the primary risks facing travellers are petty and violent crime. Within this category, most incidents tend to be opportunistic in nature and target ‘obvious’ tourists or those that look uncomfortable or unfamiliar in their environment. For this reason, most mugging and pickpocketing occurs in touristic areas such as public beaches and the Old Town in Mombasa or Nairobi’s Central Business District. Though statistically less common, there is also a heightened risk of such crimes in lower income areas located away from central thoroughfares and common sense dictates that additional care should be taken if visiting these areas. Social unrest can pose significant incidental risks to travellers and incidents can occur with little or no prior warning. Persistent antagonisms surrounding land ownership, ethnic/religious tensions and electoral disputes have all triggered unrest in recent years, affecting a broad geographic area. The risks posed by demonstrations are generally low-level, with most incidents passing off peacefully and without incident. However, violent demonstrators have clashed with heavy-handed police on several occasions in recent years, most recently in August following the release of preliminary presidential election results. Most violence occurred in lower-income areas of major cities such as Nairobi’s Kibera and Mathare areas, along with other known opposition strongholds including Kisumu and Siaya. There is a potential for more widespread violence surrounding future polls following the annulment of election results on 1st September. Outside of the restive Somali border regions, the risk posed by terrorist activity remains moderate but credible. There is a residual threat posed by the Somalia-based al-Shabaab militant group, which retains an expressed intent to conduct attacks within Kenya. The group primarily acts in retaliation for ongoing Kenyan involvement in counter-terrorism operations throughout Somalia, though the presence of high-profile Western targets is another draw. However, in recent years, the security forces have reduced the threat posed by this group; a thwarted al-Shabaab attack at the Garden City Shopping Centre in October 2015 is symptomatic of heightened security capability. Meanwhile, Islamic State (IS) affiliates have also been active on an infrequent basis in recent years; in September 2016, the group claimed responsibility for an attack launched by three robed women at a police station in Mombasa. The attackers tricked their way into a police station, stabbed a police officer and set fire to the building; security officials subsequently shot and killed all three perpetrators. Although foreign travellers are rarely affected, militant organisations operating in Kenya will operate on an opportunistic basis and foreign travellers, particularly Westerners, are both an attractive ideological target and a means to inflict economic damage by compromising the country’s tourism industry. 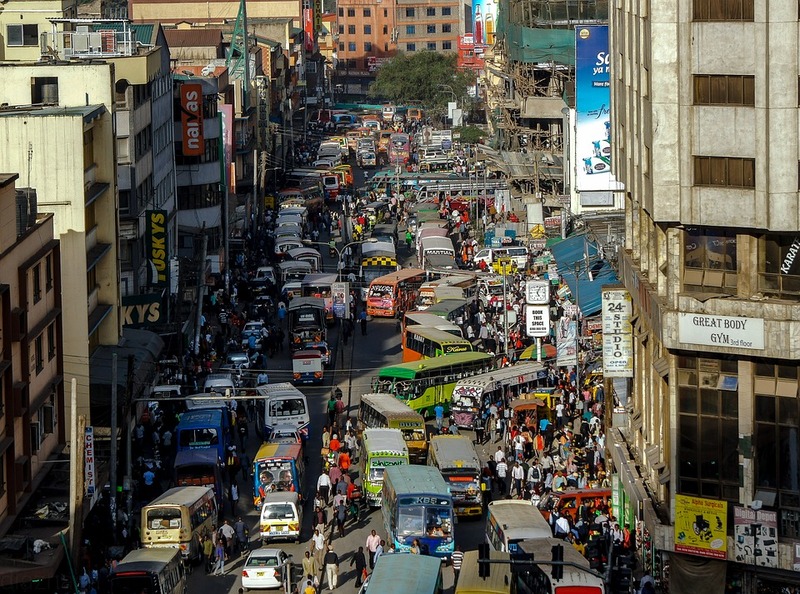 Whilst not ostensibly a security risk, operational considerations such as traffic and congestion should not be overlooked, particularly in Nairobi. The Uhuru Highway, which bisects the city north to south, is generally gridlocked during rush hour and often heavily congested during other hours of the day. As a result, opportunistic criminals have capitalised on the slow-moving and often stationary traffic and have been known to steal valuables through open windows and even threaten motorists with weapons whilst they are stationary and vulnerable. As a related side note, in recent years, criminals have devised a host of alternative plans to bring cars to a halt to facilitate carjacking and other forms of robbery, including throwing eggs at windscreens. Meanwhile, the risk of carjacking increases notably after dark when criminals often target stationary vehicles in traffic or stopped at junctions, traffic lights or residential gates. Road moves (Crime): Conduct all journeys over three hundred feet or so in a locked vehicle with a reliable and trusted local driver/provider. Keep the windows closed and be alert to suspicious activity whenever stationary. Congestion during rush hours can provide an environment conducive to opportunistic crime; keep valuables in footwells and be alert to suspicious activity on the road. Reduce risk exposure (Terrorism): Travel to possible terrorist targets – including hotels, restaurants, nightclubs, shopping centres, tourist attractions, transport hubs, religious institutions, government offices, military facilities, Western embassies, foreign commercial interests and public transport – can continue but you should minimise time spent in the foyer, entrance or other easily accessible areas. These areas typically experience high volumes of casualties during attacks. When you enter a shopping centre or public building, identify the nearest emergency exit. Stay up to speed (Social Unrest): Monitor local news and social media sites to stay up to speed on developments that may result in civil unrest. Where possible, liaise with local contacts and avoid unnecessary time spent at known flashpoints such as government buildings and university campuses. Employers should ensure that they have a detailed understanding of the operating environment that they are sending their staff to; usually, this means breaking down areas of exposure by geographic region and delegating responsibility to specific individuals in accordance with operational and cultural expertise. Alternatively, and perhaps preferably, employers can outsource this task to an organisation such as Healix, which has dedicated intelligence and operational teams, each with a direct regional focus.